When thinking about the decorative appearance of a fireplace, it is often confusing to hear all sorts of terms such as the hearth, the mantel, the surround, and the overmantel. When purchasing a new mantel for your fireplace, this piece is currently attached to the surround, making the outer area outside of the fireplace opening , including the mantel, to mean the fireplace surround. The surround can offer a layer of protection from the fireplace, protecting the walls and providing a sort of measure to show you how far away to keep furniture or other objects away from the fireplace. In addition to its protective benefits, the surround can also enhance the appearance of the room in a variety of ways, depending on the look you are going for. A simpler look can be achieved with more natural or muted colors and smooth, clean lines. A simple elegance can be created with more detail work and designs that are carved into the surface of the surround. A bolder, more sophisticated look can be attained with stronger use of deeper colors, such as greens, reds, or browns, especially when used in combination with more natural tones within the same fireplace surround. 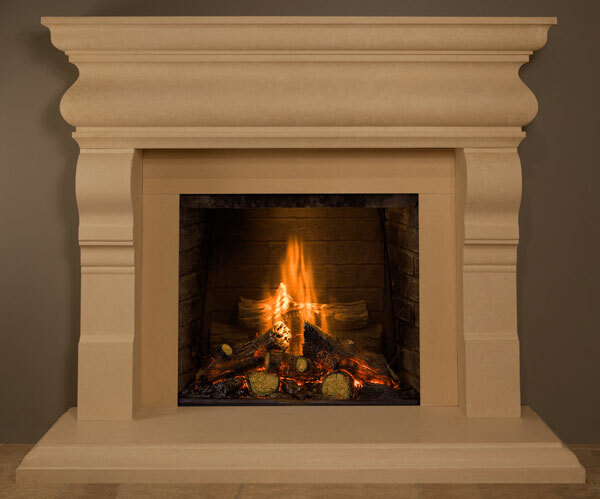 If you are looking to view new fireplace surrounds in Orange County, SoCal Fireplace Mantels offers a huge selection of natural stone and cast stone options. No matter what final look you are looking to achieve, you are sure to find a surround to meet your needs.